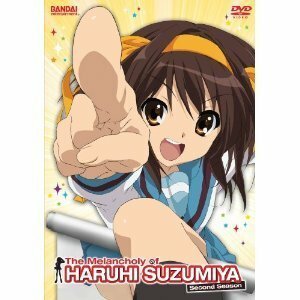 News: If any anime besides Evangelion is ripe for discussion about spirituality, it’s certainly The Melancholy of Haruhi Suzumiya. Defying conventions (or rather crossing) them, the series, based on the hit light novels, blends science fiction, humor, romance and action, all within the typical school setting. Season 2 was released on Thursday, September 16. Views: Despite the repetitious Endless Eight episodes, which made Haruhi fans furious, the new episodes were fun and interesting as always. The questions about Haruhi and who she is continue to abound and can make for fascinating discussion, and it’s primarily the Endless Eight that might promote dialogue. But a personal favorite is a nice final episode that was written by none other than author of the light novels, Nagaru Tanigawa. News: 4Kids Entertainment, which introduced anime to many of us, launched a streaming video website on Wednesday, Toonzaki. It contains some exclusive videos, though most are also shown through Hulu. There are a ton of great titles; my favorites include Trigun, Bamboo Blade, and Last Exile. Views: I didn’t know that Trigun was being shown via streaming; I hope this site helps introduce a new generation of fans to Vash the Stampede. Though essentially a post-apocalyptic and funnier version of Himura Kenshin, Vash is still one of my favorite all-time characters. Spirituality abounds in the series through the actions taken by heroes and heroines, and one popular character, Wolfwood, is a priest who carries a cross…across full of mercy and rockets. xxxHolic, Fullmetal Alchemist, and Gunslinger Girl all certainly carry spiritual implications as well. It was almost a year ago that Reeves mentioned a script was submitted and was being rewritten to fit within budgetary constraints. 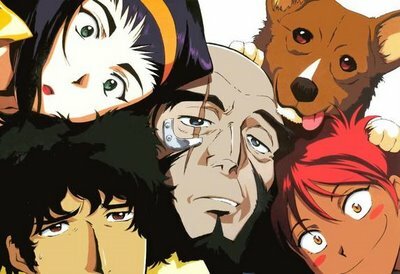 Views: I’ve always been in the group that has clamored for a Cowboy Bebop movie. I’m also a Keanu Reeves fan and feel that he would fit the role of Spike Spiegel better than almost any Hollywood action star. While it’s always hazardous to read into quotes, it certainly feels like Reeves’ comments can be summed up in two words: “it’s dead.” No surprise, but my heart’s still saddened. Cowboy Bebop, the series, is all style and substance. It also introduces weighty ideas about death, revenge, love, tragedy, and outrunning our past (and thus forgiveness). If you haven’t seen this series, I can say with confidence that it’s better than any new series from Japan this past season.